We know Nero,Ashampoo and other companies offering CD DVD burning softwares . Almost all these solutions are either shareware/trialwares . Ashampoo’s burning studio is better than Nero as it is light weight and easy to use . At the same time , Nero is really a crap software with unwanted packages making it heavy in download size and RAM usage . We have already posted a method to get full version of Ashampoo burning studio 2009 .If you are not satisfied with these products ,checkout following freeware CD DVD burning softwares for Windows . Freeware CD DVD burning softwares for Windows . These freewares have all the major features of shareware CD/DVD burning softwares . Imgburn: Probably the best freeware disk burning solution . Light weight (only 2MB) and easy to learn functions . Create disk images from local files on your hard disk . Create backup images( BIN, DI, DVD, GI, IMG, ISO, MDS, NRG) of CD/DVD/HD-DVD/Blu-ray disks . Imgburn can be used in Linux with wine (See how you can install Windows softwares on Linux ). Download Imgburn freeware CD DVD burning software . CD image converter : Convert between different image formats . 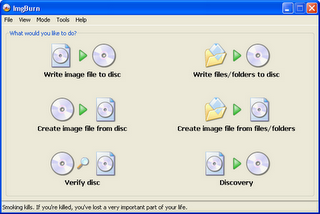 Create images from all kinds of disks . Download CDBurnerXP freeware CD DVD burning software for windows . Burn CD/DVD in simple easy steps . Create covers ,booklet or case insert . 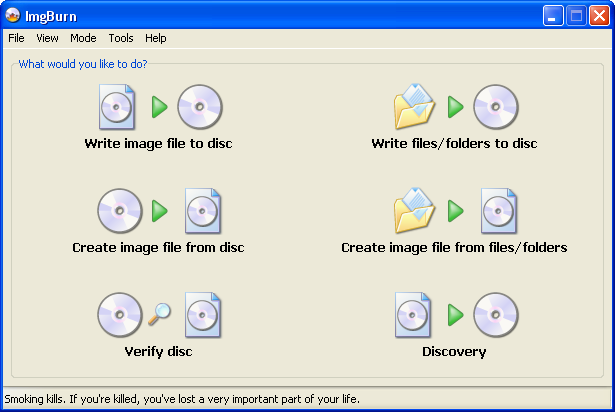 Autorun wizard to create suitable autorun feature for CD/DVD media . Create and burn images . Download DeepBurner freeware CD DVD burning software for Windows . Compare these freeware CD DVD burning softwares with Nero which is around 180MB for full installer.